Fossil's massive umbrella of watch brands has taken to the smartwatch life, releasing what feels like hundreds of variations in the past year. It finally seems like it's paying off, as the company has led a surge in smartwatch growth. That comes from IDC, which reports that smartwatches have grown 60.9% in Q2 2017 year-over-year. 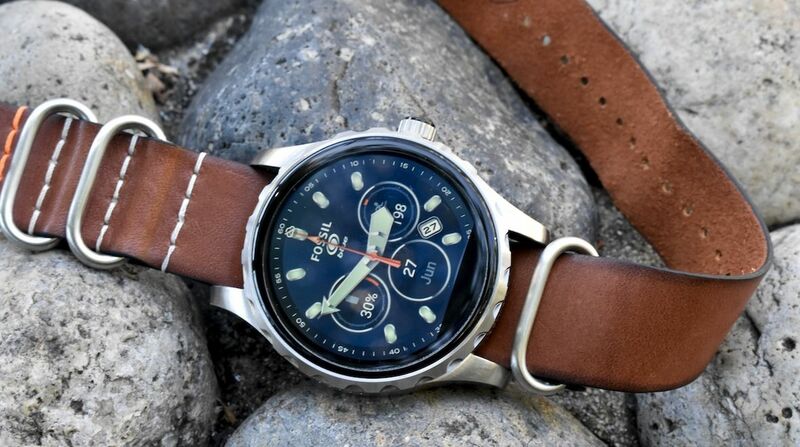 Most of that is down to Fossil, which - thanks to its acquisition of Misfit and its smartwatch push - has grown its marketshare by 217.9%, overtaking Samsung and slipping into fifth place. The company shipped 1 million units this quarter; in Q2 2017 it shipped only 300,000 units. In second place on both the table and in growth is Apple, who saw a 49.7% year-over-year growth, shipping 3.4 million units, up from 2.3 million last year. First place belongs to Xiaomi, who is absolutely dominating the low-cost wearable market. They saw some good growth at 13.7% year-over-year. However, while smartwatches are booming fitness trackers definitely aren't. Fitbit and Garmin both saw losses. While Garmin only dropped 6.6% year-over-year, Fitbit dropped 40.9%. Of course, Fitbit has a proper smartwatch coming this year in the Ionic, so it'll be hoping that can ride the smartwatch wave. Overall, the wearable market grew 10.3% year-over-year. Fitness trackers have acted as the gateway to the wearable world, and now both consumers and manufacturers are in a place where more advanced devices (read: smartwatches) are beginning to take over, according to Jitesh Ubrani, IDC Mobile Device research analyst. Two of the big reasons smartwatches have grown so much is because of their fitness abilities and fashion. Apple has a good balance of fashion and fitness, which makes them an appealing option. On the other hand, Fossil obviously has the fashion game locked down but doesn't have much of a fitness presence. This will be some good news for Fossil, who has been working to transition from dumb watches to smart ones. Last November the company announced that sales had dropped $33.3 million. Earlier this month, it announced sales decreased by $88 million. And while the company didn't sell as many wearables as it thought it would, its bullish that wearables can offset - or at least mitigate - slowing sales of less intelligent watches. The biggest growth overall in wearables comes from hearables and smart clothing, which grew in triple digits. We don't exactly know how much in triple digits though. One thing is for sure though: wearables are growing, and fashion and fitness are leading the way.